To all the tennis players of any age and skill level, who always strive for improvement and who never stop believing that the impossible is possible, and who know that there are no limits to growth and performance other than the human mind. This book is little in size, yet big in knowledge. Carry it in your tennis bag, purse, or your gym backpack. Pull it out often and reread the chapters repeatedly, until you develop an awareness of your body. This awareness will enable you to improve. Read and learn until you hear what your body is telling you. Like any mastery, to become aware needs to be practiced regularly. Strengthening your weaknesses will make you an even better athlete. This book is your friend after your tennis practice when you lie down in the grass to reflect and stretch. Small things make the biggest difference if you do them consistently and over prolonged periods. Just half an hour a day of conscious training and striving for balance will make a significant difference in no more than a few months. In the long term, you will always play tennis without chronic pains and injuries. 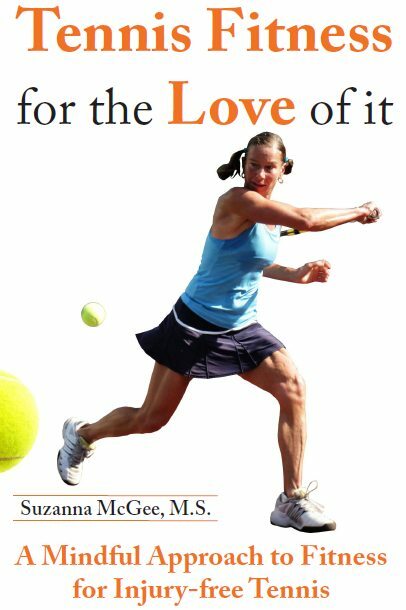 Practice conscious tennis fitness for the love of it. 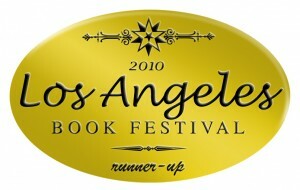 The book has helped many athletes and has been awarded a runner-up place in the 2010 Los Angeles Book Festival. Read excerpts and more about the book below, and If you like what you read, you can buy it as an PDF in my store or directly on Amazon or other fine bookstore. The book is available in paper, Kindle and Apple formats. Carry it with you everywhere and refer to it often. Remember that your body is always changing, and you will need to address different things at different times. 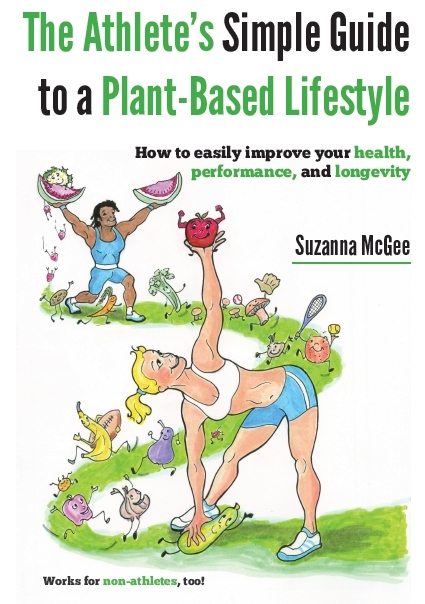 The Athlete’s Simple Guide to a Plant-Based Lifestyle: How to easily improve your health, performance, and longevity. Works for non-athletes, too! To all the remarkable people out there who have decided to live long and healthy lives full of positive energy and who have the courage to do something different than our current society dictates. Millions of people are adopting a whole foods plant-based diet to improve their health and longevity. Now, the athletes are joining the movement to maximize their performance. For athletes, recovery after exercise is one of the major determining factors of athletic success. Reducing the recovery time between your workouts will make a big impact on your overall performance. 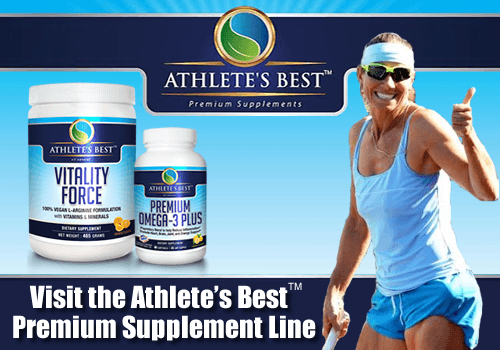 Using nutrition to your advantage is something you need to think about daily, and adding more vegetables and fruits into your diet is one great step toward to your athletic goals, as well as your health and longevity. The fast food and junk food industries sponsor many of the national food campaigns. Just because you see tempting foods on TV doesn’t mean that they are good for you. Animal products together with refined and chemically altered foods are detrimental to your health and athletic performance. It is difficult to know what is healthy for you and what is not because you are constantly bombarded with wrong and often contradicting messages. Ultimately, it is on you to educate yourself and find the truth. 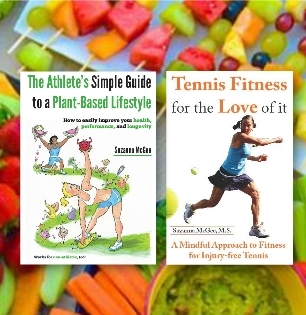 Whether you are an elite athlete, a weekend warrior, or a non-athlete wanting to live healthily, The Athlete’s Simple Guide to a Plant-Based Lifestyle will teach you how to maximize your genetic potential for athletic performance, health, and longevity. Based on reliable scientific research, yet simply written, you will find this straightforward guide easy to read and learn the techniques and tricks to master the transition to the amazing and rich world of plants where you will attain a lean and healthy body with everlasting energy. Tables (from all chapters) of costs, amounts, etc.